Yichang information: all your requirements regarding your stay, included instructions about tours and economical solutions for hotels and rooms arrangement. 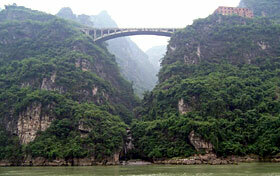 Hotels: Yichang and China reservation service, discount hotels at budget prices. Travel: you can update about Yichang tours to discover the main highlights and to visit the famous tourist lands in the surroundings. 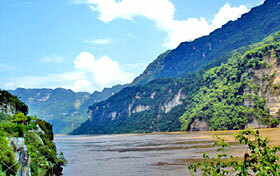 Yichang lies in the north bank of the Changjiang River, the east end of Sanxia. Call the Yi imperial tomb anciently, have a history of more than 2400 years, because " water comes here safly, the mountain comes here but the imperial tomb " gains the name, it is the origin of Chu Culture. It is one of the 11 key tourist cities the whole country. There are Qu Yuan shrine, Zhaojun's village in the scenic spots and historical sites; Have long slope slope, imprison imperial tomb, imprison common to make its presence felt place, Mai city , HuiMapo the Three Kingdoms site. The long male genital in the southwest of Yichang, five peak areas, Israel and Palestine's culture , Tujia's conditions and customs and mountains and rivers scene are good at . Give a recommendation beauty spot as follows, the tree waterfall of the gingko, Qu Yuan shrine, the peach blossom village, white horse hole, the clear monarch's well, fragrant small stream , the jade spring temple, Ge Zhou Ba, revitalizes the bright princess' village of mountain, the jade timid hole in Zigui, promotes culture in the tower, Qu Yuan hometown of Zigui, natural tower, the jar mountain range scenic spot,etc..